All the practical information you need to know about Yuraygir National Park. Drive south on the Pacific Highway for 10km, then take the Wooli and Minnie Water turnoff. Continue for 25km then, at the T-intersection, turn left to Minnie Water to get to Illaroo camping area, or right to Wooli. From Wooli Road, turn left onto Diggers Camp Road to get to the Boorkoom camping area and Wilsons Headland picnic area. From Coffs Harbour, travel north on the Pacific Highway for 49km, then turn right onto McPhillips Road. Its about 12km from the Highway to Station Creek Campground. There are lots of great things waiting for you in Yuraygir National Park. Here are some of the highlights. Autumn is the perfect time of year to go beach fishing along the park's coastline. The park's heathlands provide a spectacular display of wildflowers. Check them out on your choice of walking track, including the Wilsons Headland walk and, of course, the Yuraygir coastal walk. Visit in summer to make the most of the park's countless beaches and waterways. Swim, surf or snorkel – cooling sea breezes provide welcome relief in hot weather. Plan a winter trip to go whale watching. The sight of migrating whales swimming north to warmer waters is second-to-none, and there are magnificent viewing points at Red Cliffs lookout and Brooms Head. 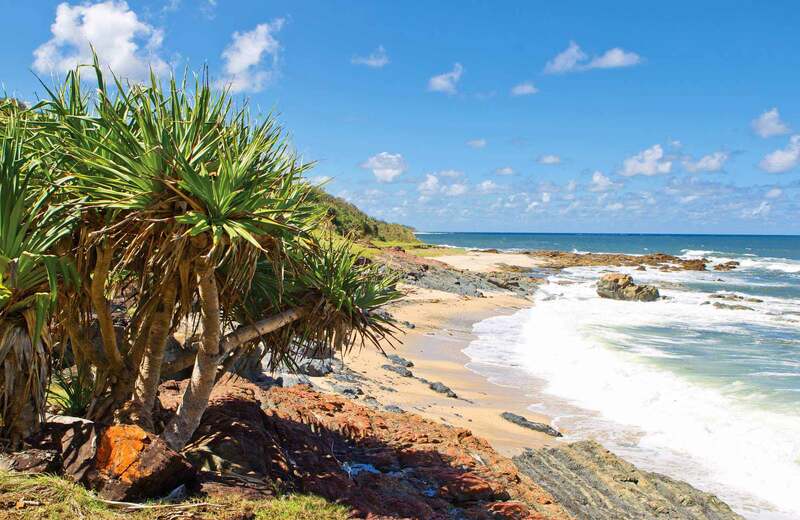 Yuraygir National Park protects the longest stretch of undeveloped coastline (60km) in NSW. Coastal hideaways worth exploring include Wooli, Minnie Waters and Brooms Head. Grafton is a gracious, historic city in the Clarence Valley farming district. It's situated on the broad Clarence River and surrounded by river flats. Yamba is a bustling holiday resort with a large fishing fleet. It's built around a headland at the mouth of the Clarence River.